People die unexpectedly all the time, but every so often one of those unexpected deaths is surrounded in mysterious or strange circumstances which make the death of particular interest. 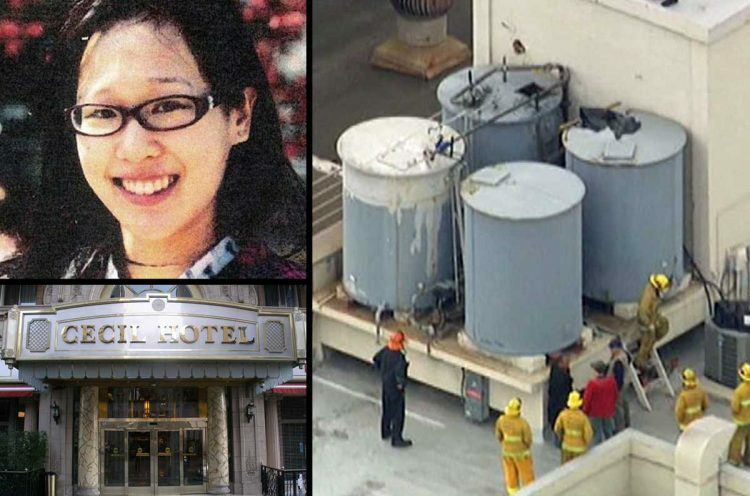 Once such mysterious death was that of Elisa Lam, the 21 year old student who died in 2013 under some very odd circumstances at the notorious Cecil Hotel in Los Angeles. Let’s take a closer look at some of the strange events leading up to the death of this young woman. 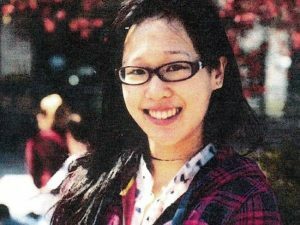 Elisa Lam was a 21 year old Canadian woman who was a student at Vancouver’s University of Columbia. She went missing on 31 January 2013 during a trip to Southern California. Lam had discussed this trip on several occasions on her blog and Tumblr account, calling it her ‘West Coast Tour’. She planned to stop off in San Diego, Los Angeles, Santa Cruz and San Francisco. If she had time at the end of her tour she had also expressed an interest in visiting San Luis Obispo. Unfortunately, Lam’s dream trip was to be cut short when she arrived in Los Angeles. Elisa Lam started her trip in San Diego before heading to Los Angeles. She arrived in the City of Angels on January 26 and it is unclear where she stayed during the first 2 days, but on January 28 she checked in to The Cecil Hotel in Downtown LA. She was first of all placed in a shared room until her room-mate complained about her having very odd behaviours. Two days later Elisa was moved into her own room at the hotel. The Cecil Hotel was a place that had a pretty bad reputation and it probably wasn’t the type of place that a young girl like Elisa should have been staying alone. Built in the 1920s, the Cecil was originally intended for travelling business men, but during the Great Depression of the 1930s it fell on hard times and the entire downtown area of Los Angeles began to decay. Over the years, the Cecil began to gain a less than favourable reputation as the number of high profile deaths linked to the hotel began to pile up. It is believed that Elizabeth Short aka The Black Dahlia was last seen alive at the hotel before she was found mutilated and severed in two just over 5 miles away in Leimert Park. In 1964, Goldie Osgood aka the pigeon lady of Perishing Square was raped and murdered in her room at the Cecil. The Cecil also served as a home to prolific serial killers Jack Unterweger and Richard ‘the Night Stalker’ Ramirez while they were active. This is all before we even mention the multiple suicides. 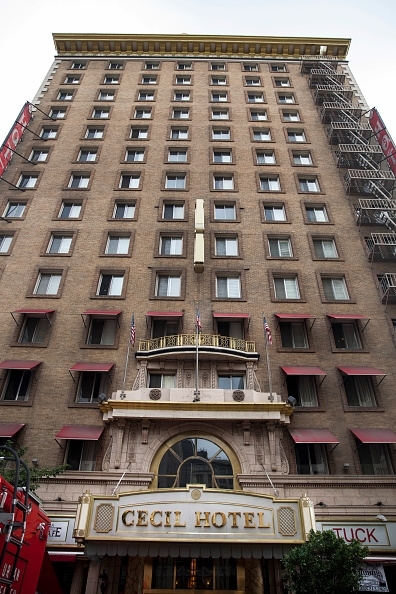 Several guests have killed themselves at the Cecil Hotel, earning it the nickname ‘Suicide Tower’. One suicide even killed a pedestrian who was passing the hotel when someone threw themselves from the window! It is likely that young Elisa chose this hotel based on price, since it is a particularly cheap place to say. It may also have been based on the proximity to LA’s garment district since her blog does indicate a keen interest in fashion. Elisa was due to stay at the Cecil from January 26 until January 31 when she was due to leave for Santa Cruz. She had been in daily contact with her parents, so when she didn’t call on January 31 they were concerned and raised the alarm. Staff at the hotel recalled seeing her that day and the manager of a local book store also reported having chatted with her while she was buying books and gifts for her family. She told the book store manager that she was leaving LA that day and was careful to choose books that wouldn’t be too heavy to carry on her travels. She went on to describe Elisa as outgoing, lively and friendly – a fact that would become very important later on in the investigation! Police searched Elisa’s room at the Cecil and even used sniffer dogs in the building and on the rooftop. The dogs didn’t pick up her scent and not all of the rooms were searched as the police did not have a probable cause to allow them to do so. After a week of searching for the missing girl, police amped things up and started making media appeals and passing out flyers in the neighbour hood to raise public awareness. However, nobody seemed to have seen Elisa after January 31. On February 14, Elisa had been missing for 2 weeks and police decided to make video footage of her last know sighting available to the public. It was this 2 and a half minute long clip that would grab the attention of internet detectives and which still fascinates us today! The grainy CCTV footage apparently shows Elisa in an elevator at the hotel on February 1, the day after her disappearance. However, the time stamp is obscured and at times her mouth seems to have been pixilated leading many to believe that this important evidence may very well have been tampered with! The reason why the video piqued everyone’s interest is that Elisa is acting in a very strange manner. Elisa appears to enter the elevator and select several floors before standing in the corner, but the doors do not close and she steps forward to look out into the hallway. She seems to back away from whatever she sees and retreats to the corner. It very much seems like she is hiding from someone. The elevator doors remain open. After a short time she actually steps outside and at this point is off camera, with just her arm visible. She returns to the elevator and frantically presses buttons before once again stepping into the hall. It is at this point that her behaviour becomes more erratic. She is seen moving her hands in a strange fashion. It has been suggested that this was a result of psychomotor agitation and that she was simply wring her hands, but others have pointed out that she seems to flap them and that her fingers seem to bend in unnatural ways at times. It almost appears as though she is talking to someone out of shot and is using her hands to gesture at them. Eventually, Elisa appears to wander off down the corridor and it is only then that the elevator doors actually close and it begins to move between floors. It is not only the behaviour of the young woman that has made the video so interesting. If you look very closely at the time stamp you will see that at several points it skips suggesting some sections of the tape were edited out. Other sections have actually been slowed down in order to fill out the time gaps. Why would the hotel provide the police with edited footage and why would the Police present this to the general public as a supposedly unabridged video. On February 19, almost 3 weeks after Elisa Lam’s death a disturbing discovery was made. 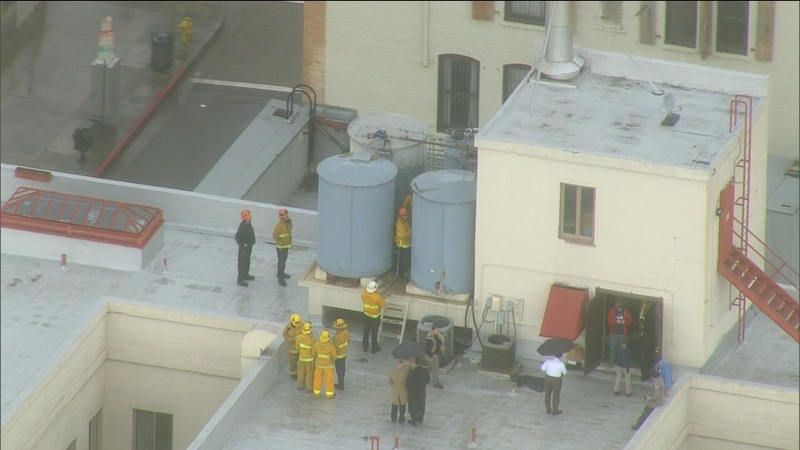 Residents at The Cecil Hotel began to complain about the water. Several people had complained of unusually low water pressure in their rooms, while others had complained of a foul taste and odour and and odd colour in the water. The hotel sent a maintenance employee to check the 4 water tanks on the roof to see if there was any obvious explanation. What the employee discovered was something that he could never have anticipated. On opening one of the tanks he discovered the naked body of Elisa Lam floating face up a few inches below the surface. The problems with the water were caused by Elisa’s decomposing corpse. Obviously, guests were horrified that they had been drinking the water contaminated by a corpse and several off them raised lawsuits against the hotel. What Really Happened to Elisa Lam? The official verdict following autopsy of Elisa Lam’s body was that the woman had died from accidental drowning. She was diagnosed with bipolar disorder, something that she was fairly open about on her blog, and officials believe this explains her erratic behaviour. It is claimed she had a psychological break, somehow gained access to the roof and somehow fell into the water tank – or climbed in for a dip only to become trapped. However, this official verdict is full of holes. Those who saw Elisa last claim that she was in good spirits and excited about the next leg of her trip – remember I pointed out the important comments made by the book store manager? She was also managing her condition very well with medication – which she had taken regularly according to the toxicology report. Is it really feasible that she went downhill so drastically in a matter of hours? Also, the roof access required a key and an access code meaning it is unlikely that she made it up there without the aid of a staff member – or possibly a long term resident. There is also some doubt on whether a petite young woman like Elisa could manage to lift the access hatches on the water tanks. There is also the fact that the police dogs apparently did not detect her scent on the roof suggesting she was carried rather than walked there on her own. These unanswered questions coupled with the strange video footage have prompted many to question the official verdict. It seems much more likely that Elisa was murdered. Some have even gone so far as to say that the young woman was suffering a possession from one of the many spirits said to haunt The Cecil Hotel. The only thing that is really clear is that she was alive when she went in the water and she did die from drowning. There were no illegal drugs or alcohol in her system and it is not believed that she was suicidal. As is to be expected with a strange case like this one, it was not long before the conspiracy theories began to emerge – some more believable than others. Of course one of the first was that Lam was an Iluminati sacrifice, although it is unclear why she would be of interest to them. Most of the basis for this seems to be that she had tweeted about a Canadian company getting funding for an invisibility cloak. 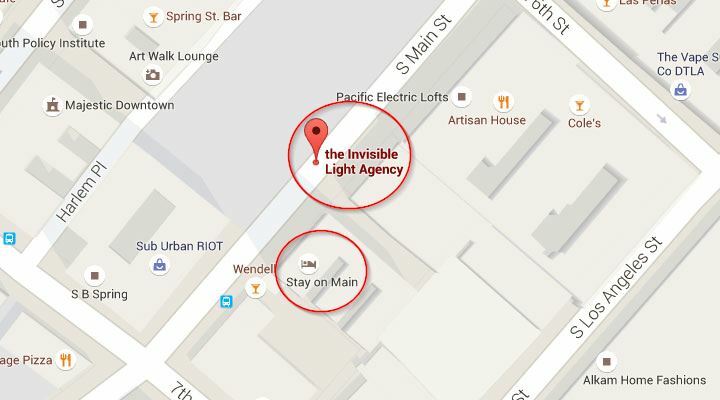 Internet detectives also found that a company called The Invisible Light Agency specializing in similar light effects was registered to a room in The Cecil Hotel. This company had a triangle as their logo and by now we all know that triangles are illuminati symbols! It has been suggested that perhaps Elisa stumbled on some secret information resulting in her execution! The other common conspiracy theory surrounding her death is a bit less far fetched although it still requires a little bit of a stretch! Around the time that Elisa Lam was discovered in the water tank of The Cecil Hotel, there was also an outbreak of Tuberculosis. The test used to identify the Mycobacterium Tuberculosis which causes TB is called ‘Lam-Elisa’ which is obviously the names reversed. Is this coincidence or could Elisa Lam have been infected with Mycobacterium Tuberculosis and then murdered in order to intentionally contaminate the water supply? The fact that Ms Lam was missing for almost 3 weeks gives us the perfect incubation time for TB. If this was indeed some carefully orchestrated plan, then it makes sense to rule her death as accidental despite the unanswered questions in order to sweep it under the rug! Was Elisa Lam actually a real person or was this simply a code name for a government test subject? It is hard to say if this is really just coincidence or if there is a genuine link here. Today, Elisa Lam and her death have become something of a pop culture icon. The manner of her death has been emulated in various movies and television shows. In May 2013, the season finale of ‘Castle’ a young woman was found dead in a water tank on the roof of the fictional ‘Cedric Hotel’ and the evidence in the case included CCTV footage of the woman in an elevator! In 2014, a Chinese horror movie called ‘Hungry Ghost Ritual’ debuted including a scene where a ghost was terrorizing a young woman in an elevator. In both cases, the directors said they were inspired by the Elisa Lam case. More recently, season 5 of American Horror Story which had a hotel theme was heavily based on The Cecil Hotel and has elements of Lam’s death in one episode when the story is told of a woman who died in a bathtub and was not found for weeks until people complained of a nasty taste to the water. Incidentally, Elisa Lam’s death is also eerily similar to the plot of the movie Dark Water which was released around 10 years before her death! Did her killer take inspiration from this? We will probably never know what really happened the night Elisa Lam lost her life, but one thing is certain – her death continues to intrigue us. With so much death and disappearance surrounding The Cecil Hotel, you would not be alone if you think that the most sensible option would have been to demolish the whole structure and never speak of it again. However, it has actually been revamped and re-branded as ‘Stay On Main’ with dorm room beds starting at just $25 a night and private rooms from $60. So you can actually go and stay the night next time you are in LA, but maybe don’t drink the water – you never know! About the Author: Alyson Duncan is a freelance writer with a passion for the weird and the wonderful! As an amateur paranormal investigator she spends much of her free time in dark abandoned buildings chasing shadows in the dark. Follow her on Twitter at @alyson_duncan. He was one of the Most Horrific Serial Killers to Ever live!